Although theft is one of the most costly forms of abuse in any retail store there are other more obvious things we see as consumers that make us shake our heads. I don’t know how many times I’ve been through a supermarket and wonder why some parents just let their kids run around the store. It’s nice to see when parents are teaching children about grocery shopping by educating them and having them help with the grocery list but another thing just to let them do what they please. I’ve literally seen children at the supermarket taking products off of the shelves and putting them in random spots. In one instance I saw a child open a chocolate bar and start eating it. I’m sure the child was in heaven but it doesn’t teach them right from wrong if we allow this behaviour. Once the mother noticed and stopped him she left the opened chocolate bar on the shelf and went along without saying a thing to the child. The proper thing to do would have been to take that chocolate bar and purchase it now that your child has taken the liberty of opening it and eating it. How you choose to raise your child is up to you but I certainly would have taken the time to explain the lessons in if you don’t have the money to buy it you don’t touch it. That costs money. Then if it’s not a child it’s an adult who thinks it’s ok to just grab whatever they want and start eating it while pushing their shopping cart around without paying for it. Better yet how about the customer who must try the fruit before they purchase it so they think it’s acceptable to eat the cherries, grapes or take a bite of an apple just to test it out. That costs money. It’s just another reason the Bulk Barn has to put signs up all over the store to tell customers to please not sample the food. In many circumstances if you find a department head and ask they may graciously offer you to test a product. Worst case scenario if a product is not fresh most stores have a freshness guarantee. Come on, is it worth getting pulled in by store security just to fill your belly? That costs money. If I were in a room right now in front of you and I asked you to raise your hands if you recall walking through a supermarket aisle only to find a block of cheese or roast sitting on a shelf next to the, I don’t know, peanut butter I bet all of you would raise your hands. The point is that people who take supermarket items and put it in their shopping basket and then later have a change of heart for one reason or another and then just plop it on a random shelf not giving a care in the world whether it needs to be refrigerated or frozen really need to have someone just wreck random things they own for no reason. Yes, that is one long sentence and I can say that in one breath if you allow me to. That costs money. Don’t be lazy, bring the item back where it belongs. Not all food in a supermarket is put in by the grocery store as some companies have merchandisers that are brought in such as the chips, bread, pop etc and if their product is placed randomly around the store they lose money if they don’t know what is expired or what has not been purchased. That costs money. I know back in the UK there was a time when if you broke something you paid for it. Not so much the case here but there have been numerous times where I’ve seen a jar go flying off a shelf and smash on the ground only to have the customer keep on walking. Not only is it a safety hazard the least you could do is inform someone. If you accidentally open a product or rip a bag do the right thing and bring it to a cashier or department clerk to be removed from the shelves. Don’t just let it leak all over the place. Someone will soak up the cost of the product. Guess who? That costs money. Finally, if you are going to bring your coffee or tea cups into the supermarket or eat your burger or chips while you walk around at least have the decency to find a garbage pail to put the empty packaging or leftover food in. I don’t know how many times I’ve seen empty Tim Horton’s cups on shelves or half eaten containers of outside food that people are too lazy to bring to a garbage can which are readily available in most grocery stores if not right outside the front of the store for customer convenience. I mean I know the employees are there to work but when we create work for them when they could be doing something else more productive for the organization and us as customers it takes away from their role for nothing. Would you shop at a dump? Probably not, so do us all a favour and find the garbage can and use it for it’s purpose, to dispose of rubbish. That costs money. I’m sure there are other wild and wacky things you’ve experienced in a supermarket and you might even work in one and have stories you want to share. I want to hear about them and what you did or didn’t do or what you saw. Sometimes common sense isn’t so common for everyone and we need a little reminder about how doing the right thing will help everyone. In the end it’s the consumer who pays in the form of price increases whether it’s a nickel here or a dime there it all adds up. What kinds of supermarket abuse have you seen before? Weekly Overview: We stocked up on chicken breast this week and purchased some cherry pie filling for the cheesecake I made the other day. We did have a blip in price for the mushrooms not knowing they were gourmet mushrooms. We thought they were the sale price of $0.88-$0.50 coupon however after reviewing the receipt which we did not do in store due to rushing (bad) we paid the price. Yep that’s reg price for milk at the two sobeys by my house. Sometimes I’m okay paying that price…like when I get bonus points for spending a certain amount, discount tuesdays and when we can’t get to walmart, shoppers(sometimes costco) to buy it for cheaper. I got the advil coupon in a trade from a lady that had got them from a drs office. It was a rough week, and I’m just getting to the post now. If you look at the groceries we got, a lot of it wasn’t food related and went toward getting me healthier. Fortunately we didn’t need much food and we could get the other things we needed without dipping into our leftover (emergency) grocery money as is often the case and why it’s there. We generally have a lot of stuff on standby for our son, but not us adults and I desperately needed help. And, running out of tissues is never a good thing during cold and flu season and we were dangerously low. Normally I would have shopped the sales better and made the money go further, but I will just chalk this week up to my health, which is dramatically improving with the help of a doctor, not the over the counter remedies. Funny how that went. However, we are always thrilled with the stop in at Westons which is an hour away from us, because it yields lots of good deals if you aren’t picky. 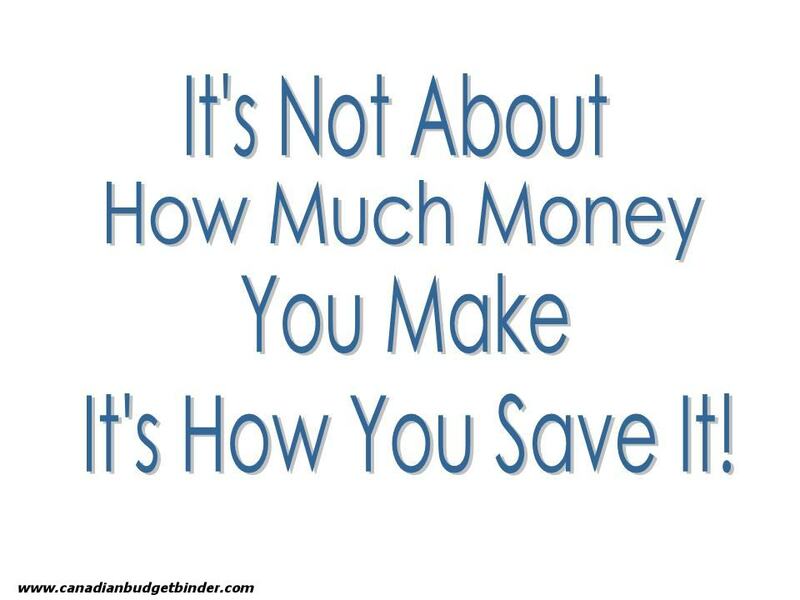 And, it’s cheaper than making it myself. I do make our bread regularly, but I sure can’t make it often for .50 a loaf when you consider the individual ingredients and the electricity used. It’s close (I think my lowest average cost is 65 cents). The Westons I live within an hour of is in Kingston, ON. It is wonderful and if I have space in my freezer I often stock up big time! Ironically, my son prefers the homemade and hubby prefers store bought as he loves his peanut butter sandwiches and he says it’s just not the same on homemade! My Mother-in-law introduced me to the outlet, I would never have know otherwise. If you ever get a chance, it’s worth the trip. We will be there again in February for more appointments, so the goal is to stop again then! Thanks for letting me know Angela. I will look into it. •Weekly overview: I’m starting to wonder if $85/week is going to be manageable or not. I did not take into account that I had my MIL’s discount available to me for most of last year. It saved almost $400 from my grocery budget. I’ll leave it at this for now but if I keep going over I’ll know why. In the last 6 months or so I’ve gotten way better at not buying too much of something when it’s a deal so I have saved some that way but I still do stock up on good deals when it makes sense. I added a new category into the “totals” section this week…“Tax free day” savings. I’d like to see how much tax free days save me over the year. I’m still not feeling well so it was hard to shop this week. I probably missed a few things but oh well. We have lots of stockpile to go through so I’m sure we can find something if we need to. Here are my shops for the third week. I went to Canadian Tire for a fast trip to get liquid hand soap as we were out and the cheaper brands I have tried don’t work well with my skin. Other than that I was at Foodland for the groceries. Three weeks into the year and I’m still good!! This is looking good!! I’m getting low on meat so we shall see how I do for the rest of the month. The hand soap at CT wasn’t a sale price but I needed it. Of course it’s on sale this week!!! Go figure… The pasta was on sale this week at Foodland but I didn’t get enough for me to consider it stockpiling as we eat pasta all the time. That and rice are on the table a lot. Cheap eats. I keep getting lucky finding stickered sausages, not that anyone here complains!! 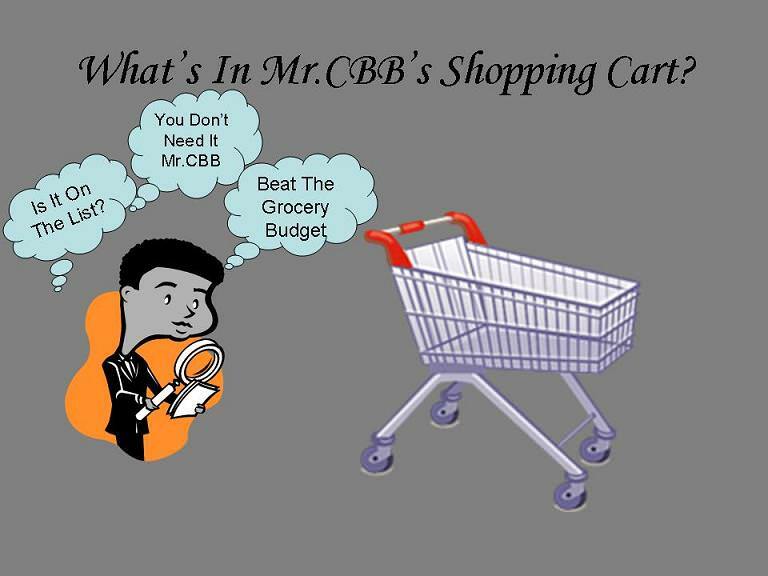 So far I’m managing to do a little extra shopping and still staying under for the budget…. I a going to try to keep this up and still stock up on meat if I can, right now I have a nice cushion for grabbing a few extras if I find a really good deal. I haven’t gone to NF yet this month but the sales haven’t been that impressive yet so I’ll wait for a good sale…. The jar of pickles is sort of a sale, it’s been on mark down at that price for quite a while. It’s not a big jar but the younger boy and I like our gherkins with KD!! Lol!! I have no idea if SDM sells the Method soap or not as I haven’t been in a while. We don’t get the flyers so I never know what’s on and I’m not likely to go in unless I know about a good sale. I’m pretty sure I’ve seen method in Shoppers Drug Mart so it’s worth taking a look just to see what the price is like. 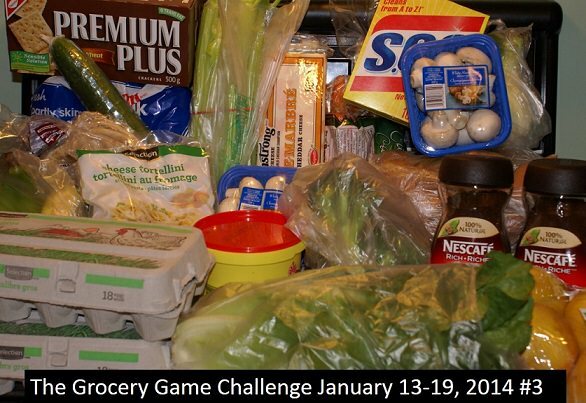 * Weekly Overview: Did some stocking up on goods for the pantry this week. NoFrills was out of most items I wanted from their Dollar sale. I had to PM otherwise but even that seemed a challenge this week. I am over so far this month but plan on a low shop this week as I won’t be out and about this week. I can remember back when my kids were small if you bought something from the bulk section you had to get someone to weigh it and write the price on the package for you before you left the dept. as they didn’t have the scales as part of the register then. People would be eating food from the bags before it was weighed…. I had the older boy with me and got some cheezies in bulk for snacks. He was almost in tears he wanted some so bad. I made him wait until we had a price on it and asked the gentleman at the scales to not tie the bag shut until I had given my son a couple to eat… He was so happy to oblige..he said he saw it all the time that people were basically stealing the food and he thought it was great that I was teaching my son to know better….This was 30 years ago so, clearly, nothing much has changed…certainly not for the better. I see stuff here, there and everywhere in the stores….It’s very rude in my books to leave stuff all over. If I change my mind about getting something either I or one of the boys will take the product back to it’s proper place on the shelf. Simple good manners in my opinion. Doesn’t look like there is a lot of that around any more…. Helping yourself to food without paying for it is theft…plain and simple. My kids were expected to behave in stores with me, if not… they were removed and taken home. Most of the time I was able to leave them with their Dad while I shopped. The grandson will behave in stores too or no treats. His idea of a treat is a bag of little carrots. If one has a change of heart on meat, frozen foods, etc., better you put it back where you got it from. Don’t leave it anywhere you choose, and don’t leave it with the cashier. Anything like that that makes it to the cashier, and you say you don’t want it, guess what? Yep, it’s garbage. Cannot be reshelved. We don’t know who long you’ve had it in your cart. That’s something I didn’t know about frozen foods but certainly non-persishables can be brought to the cashier I presume. That’s funny about the Tim Hortons but it’s true I see it all the time. Thanks Louise for dropping by. NO US SHOPS UNTIL FEBRUARY 10th … I found a European bakery that does a passable gluten free bread so I am waiting until we do our weekend get-away for Family Day/Valentine’s Day. 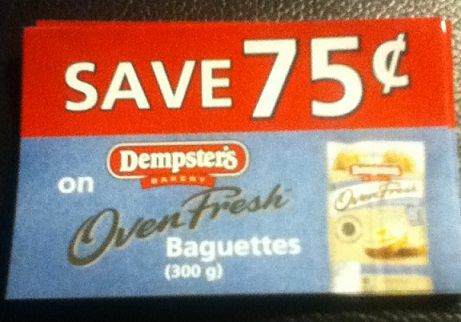 •Total Over/Under on the YTD Grocery Budget: $7.50 AVAILABLE << Yikes! Not much for 2 weeks!!!! (Good to March 6th) – SECOND RAIN CHECK!!!! We must be on the same wavelength this week. I was talking about entitled kids this week. The worst thing we can do as parents is endorse our own kids bad behaviors. Will kids be naughty? Absolutely. But we do them a huge disservice when we don’t allow them to face the consequences, even if we are the ones to bring it to attention – like eating a candy bar at the grocery store. And you’re absolutely right, ultimately we, as customers, pick up the cost of this abuse through higher prices.